Pairing an ultra wide-angle field of view with an especially compact design, this Laowa 9mm f/2.8 Zero-D from Venus Optics is a Micro Four Thirds-mount lens offering an 18mm equivalent focal length. As a Zero-D lens, this 9mm f/2.8's optical design is specifically meant to limit distortion for clear and accurate portrayals of landscapes and architectural subjects. The optical construction also incorporates a pair of aspherical elements and three extra-low dispersion elements to control both spherical and chromatic aberrations for improved sharpness and reduced color fringing. A Frog Eye Coating has been applied, too, to repel dust and moisture from the front element of the lens to benefit working in trying environmental conditions. Its sleek and lightweight design is well-matched to mirrorless bodies and is ideal for everyday shooting as well as use on gimbals. Additionally, a petal-shaped lens hood is also incorporated into the lens' design to reduce flare and ghosting when working in strong lighting conditions. Three extra-low dispersion elements reduce chromatic aberrations and color fringing for increased clarity and color neutrality. Two aspherical elements are also featured to limit spherical aberrations for improved sharpness. Manual focus design offers a minimum focusing distance of 4.7". Built-in petal-shaped lens hood shields the lens from stray light to reduce flare and ghosting and also protects the front elements from accidental impacts. Box Dimensions (LxWxH) 3.9 x 3.8 x 3.5"
Laowa 9mm f/2.8 Zero-D Lens for Micro Four Thirds is rated 3.0 out of 5 by 1. Rated 3 out of 5 by Ric from Not Great Build Quality This lens does deliver what it promises on my Black Magic PCC4K Camera, a super wide, reasonably fast look at the world with minimal to no barrel distortion. The lens mount is so sloppy, however, that when using the wireless follow focus with my Ronin S the whole lens shifts a measurable (and visually obvious in the shot) distance in the camera when reversing focus direction. While not really a rack focus type of lens with its deep depth of field, for this price the mount should be tighter and better constructed. 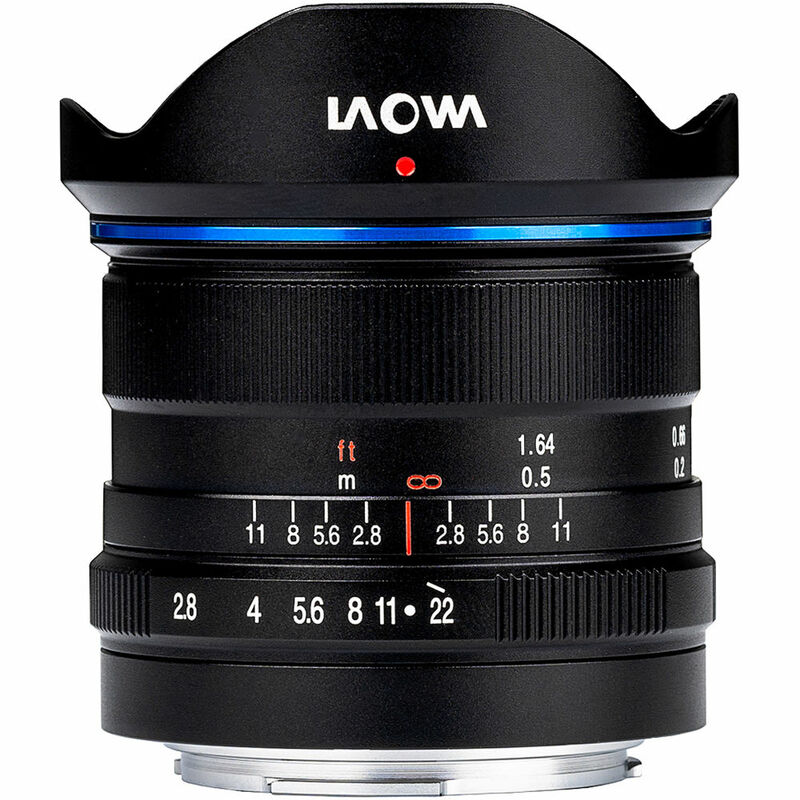 Will there be vignetting with 49-46mm step down ring and filter? Is there space for 58mm step up ring? Because 49mm is not used anywhere in MFT and I would not want to buy another set of ND and others filters. I hate buying extra filters too. However, we will have to say that 49mm is the only one listed as working with this lens. Can this lens' aperture on MFT be controlled from the camera? This is a FULL manual lens meaning MANUAL Aperture and MANUAL focus. No you can't control it using the camera.